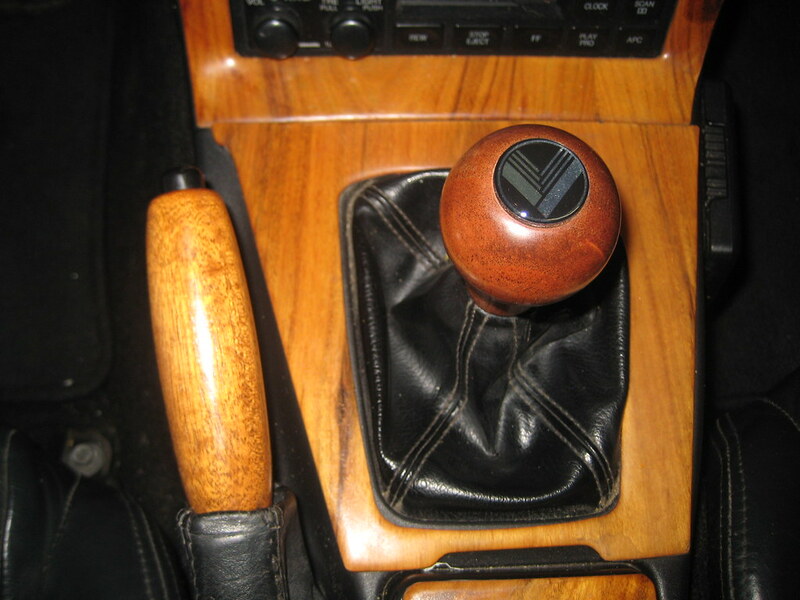 Easy-peasy install of the Revlimiter light mahogany wooden shift knob (tall 911 style) with Eunos emblem along with a light mahogany wooden brake handle. Last edited by MiataQuest; 04-07-2018 at 08:47 PM. 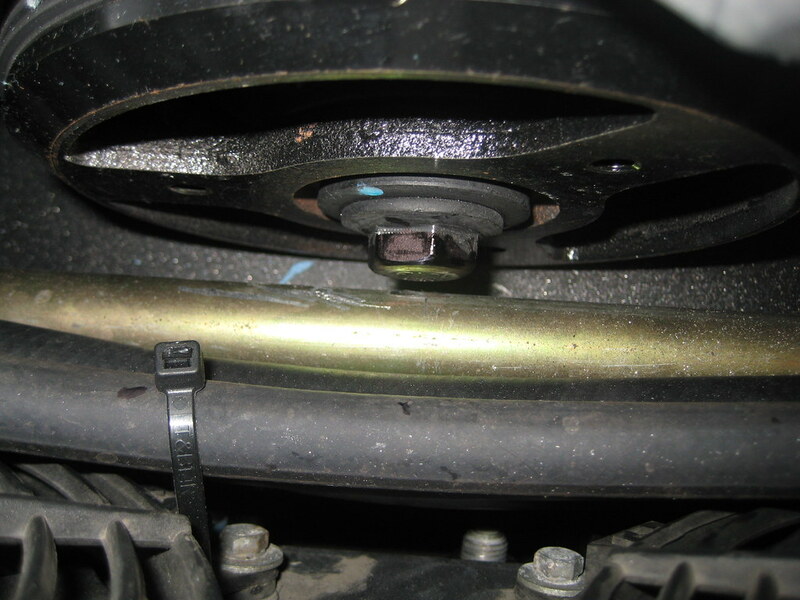 My sway bar would contact the Ecotec crankshaft pulley nut under load. It would create a high pitched whistle noise that sounded like vacuum leak and the power would decline due to the knock sensor. 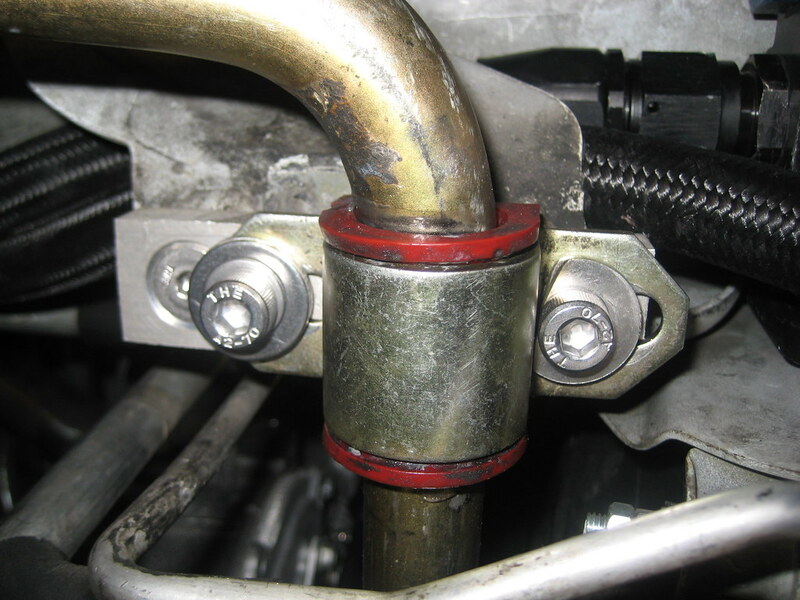 The sway bar was very close to the pulley and the existing bolts would not allow any further movement of the sway bar bracket. I bought some metric “socket head cap screws” and thick washers. I ground the washers with a flat on one side. The new combination gave me about 3.5mm more forward movement of the sway bar mounts. I then completed the set-up by adjusting the end links per instructions noted by 949 Racing that I found on YouTube. I marked up the Ecotec engine pulley nut with black ink where it was previously ground away to a shiny finish. I took it on a 20 mile drive late last night subjecting the drive-train to various conditions. No more problems. 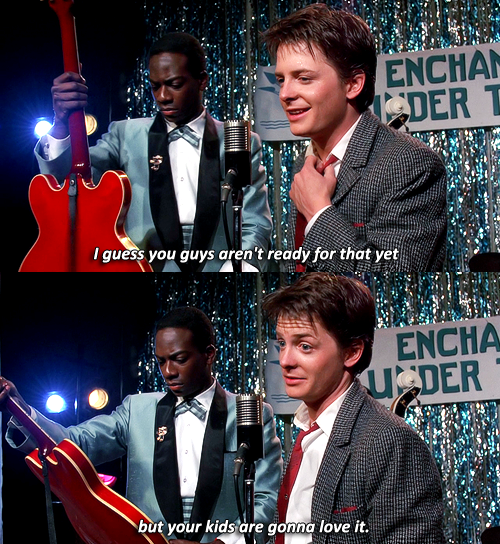 I figure the new drivetrain (engine, adapter, transmission, and rear end) settled-in after my driving and I just had to make some adjustments. Last edited by MiataQuest; 04-10-2018 at 08:20 PM. 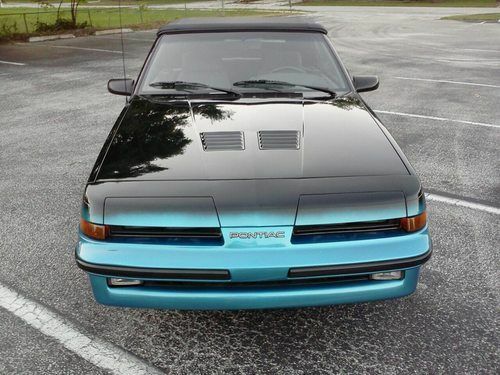 Installing vents from a Pontiac Sunbird. Bet you never seen a turbo Sunbird! 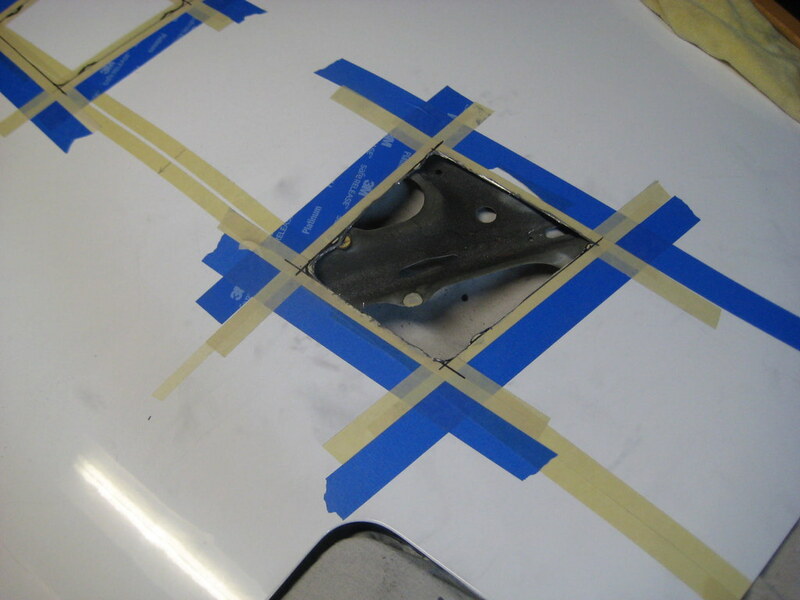 Low pressure zones were taken into consideration when laying out the vents. 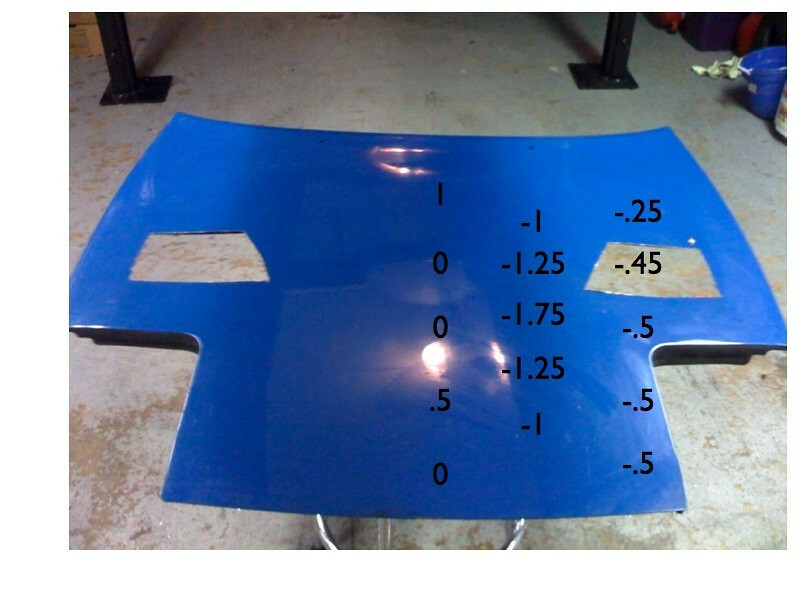 I will post up the final results when finished and polish the hood. Last edited by MiataQuest; 02-09-2019 at 07:43 PM. That shifter looks sharp with the Eunos logo. 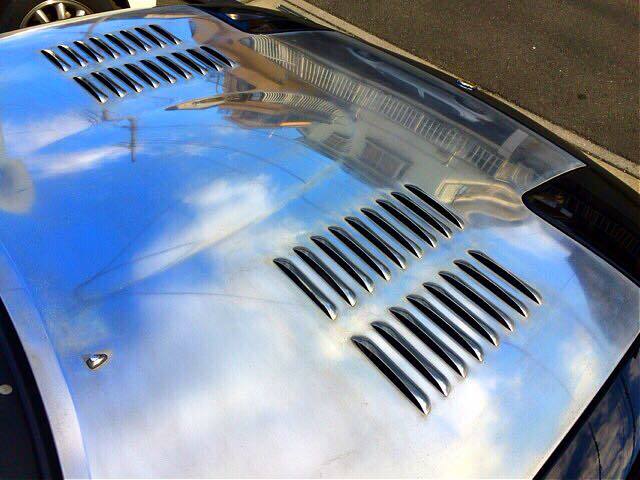 You are planning to polish the hood? 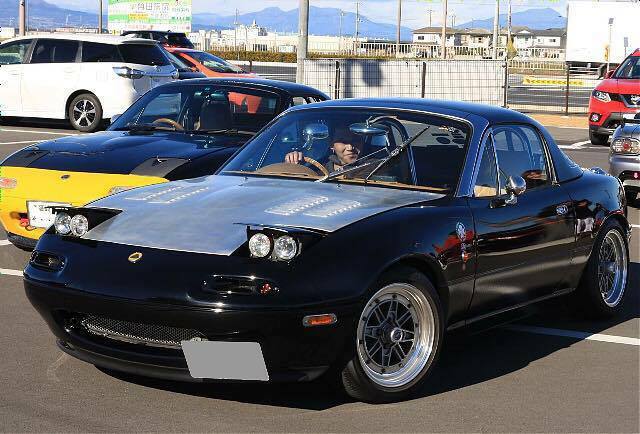 Man that is a hellava undertaking, I’ve seen a few done in Japan and a local guy did it on his silver NC, it’s something I’d love to try but after polishing my valve cover on the 96 miata I realized it’s a lot more labor intensive than I had time for. Will be waiting to see this!! 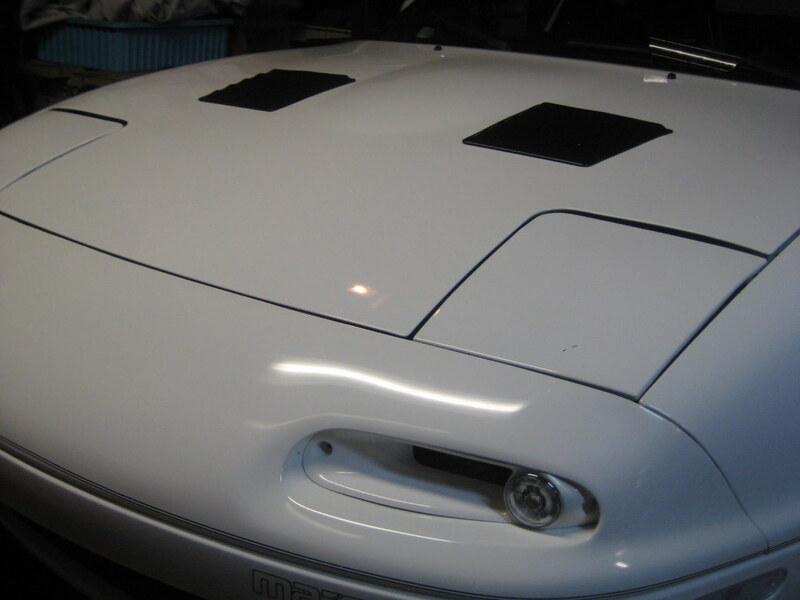 Also if you can locate an M2-1028 trunklid they are aluminum as well and you could polish that too. Dooh...I should have been more specific. I only want to polish the white paint on the hood. 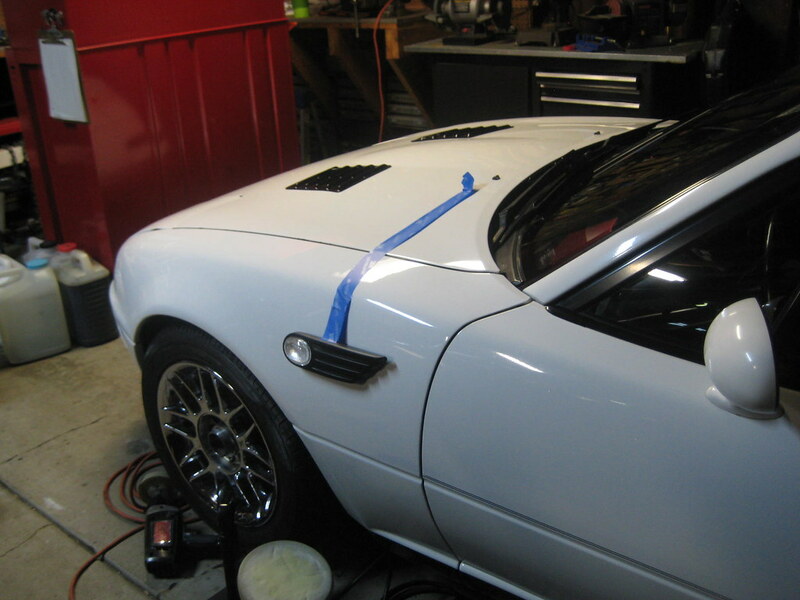 I have not compounded or polished the car yet and I wanted to see how it cleans up. 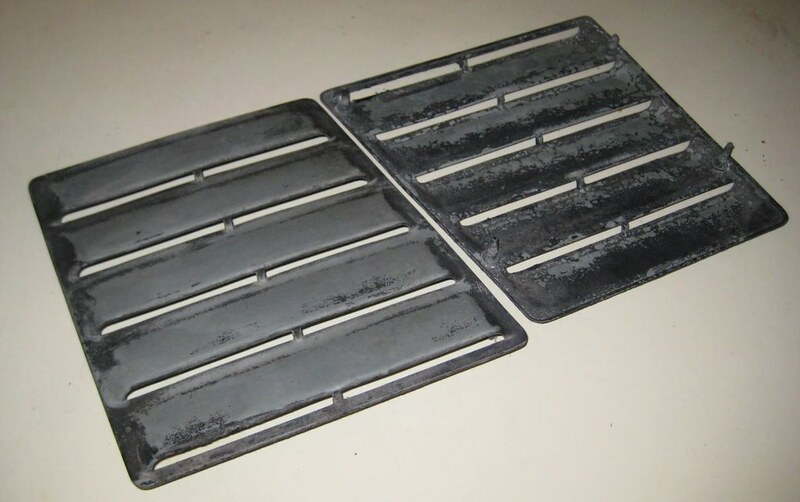 (It is lightly faded and scratched) That will also help me prep the paint next to the cuts so I can add some black paint to seal the edges from corrosion and eliminate any white that may be visible if you looked inside the vents. My theme is a special edition car and a polished hood would not work very well. I am not a fan of the look while it must be a pain to drive in the sun with all the reflections. 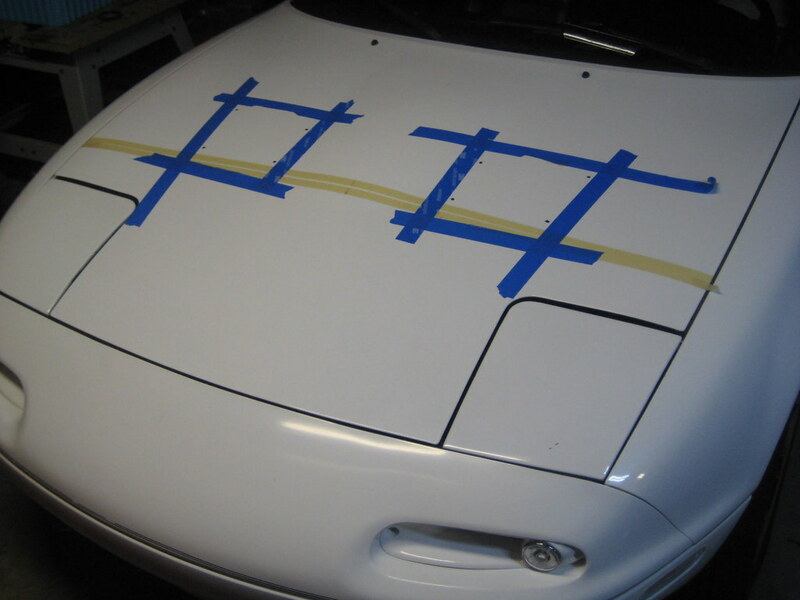 I may also try to take off the Miata stickers on the fenders, Mazda sticker on the front bumper, and the pin striping while I am at it. I want to add a couple visual enhancements from my stash to get motivated while I have some time to work on it before getting back to the Mustang II. Maybe add the fender winkers next? I am stalled on the last thing I need to do to the Mustang II to have it ready for the wife. I need to change the rear end assembly. I have a 1978 Mustang V8 rear end in my rented storage garage and I can't get it out of the garage. One of the renters at the house has his car booted and GPS tracked by police. (drinking issues) His car is blocking the garage door. While I wait on him to resolve his problem I can sneak in some Miata garage time. Last edited by MiataQuest; 02-10-2019 at 10:10 AM. The Sunbird vents are installed. I think I should have gone with matte black rather than the gloss black powder coating. But I am happy with the potential for functionality, especially with the locations. 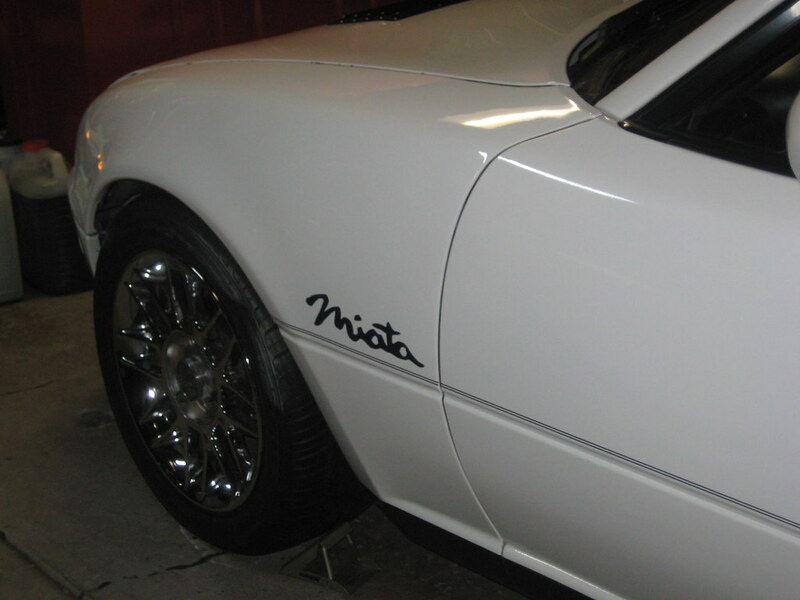 The Crystal White paint on the Miata is full of dings, scratches, chips, flakes, etc but it does make a nice 10 footer, well maybe a 20 footer! Last edited by MiataQuest; 02-23-2019 at 03:08 PM. Hello Eunos Manticore Special Edition ! I was thinking of this build the other day reading how a local guy converted to a GM electric steering rack with adjustable (electronic) steering feedback and effort. It was amazing work, he did it to run 9” wide r-comps for autocross. When I had a Volvo 1800ES there was a few people that adapted electric steering from a Chevrolet Cobalt. Here is a recently released electric power steering kit from Kmiata ready for a Miata. Last edited by MiataQuest; 02-24-2019 at 07:28 AM. I received some negative comments on the Mini Cooper winkers from Hammerhead. I really admire his build and did not want to be a copycat especially since I will have the same wing. 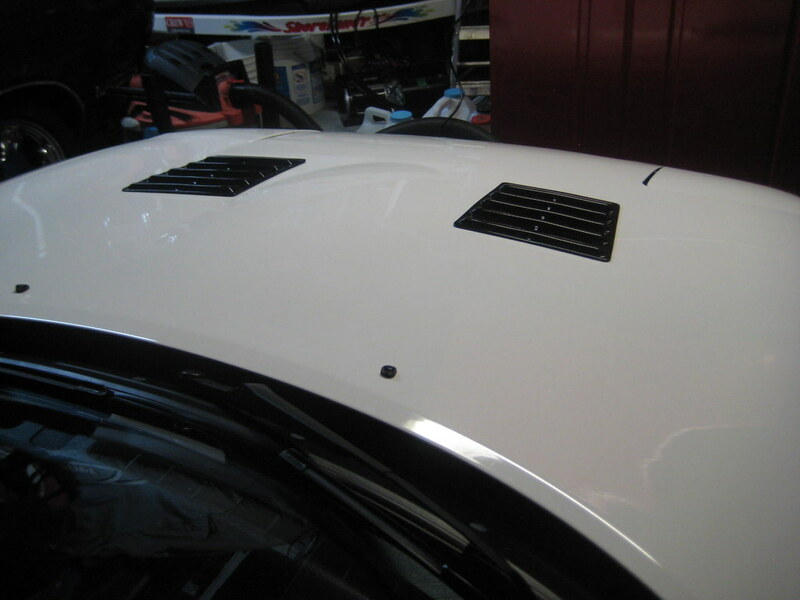 I was determined that I could make the Mini Cooper vents work to be different. Hey, it’s just one guy’s opinion. 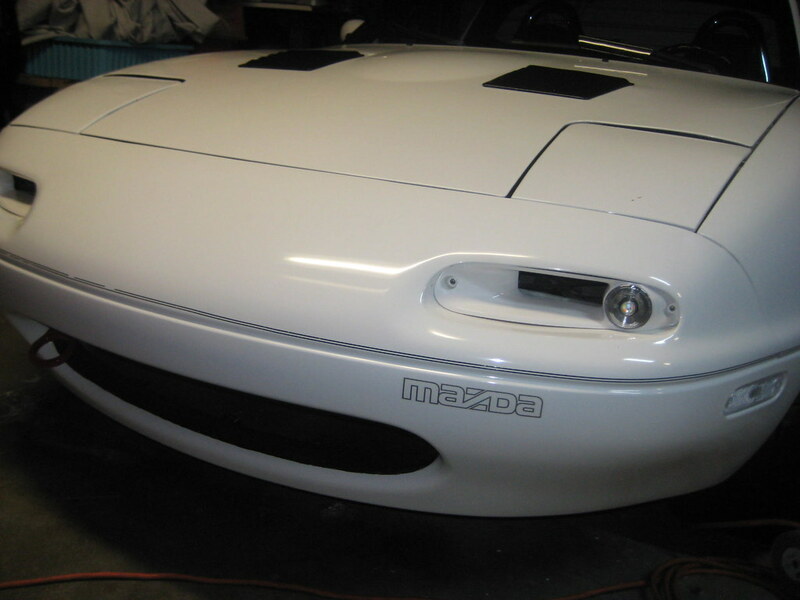 Then I got the same negative comment from the “Guru of all things Miata”. Hmmm, maybe I had better rethink this. Naw, I will just throw it out there on Facebook Miata Club and find a bunch of youngsters with slammed cars telling me it’s awesome! Yes, and they sent me many encouraging messages on the winkers. Last edited by MiataQuest; 02-25-2019 at 01:32 PM. Ya I didn't want to dog pile on you Rene but I felt the same in all honesty. Feel free to comment in the future. That is what is great about the forum is to have discussions with different opinions. In this case it probably saved me from something I would have regretted. 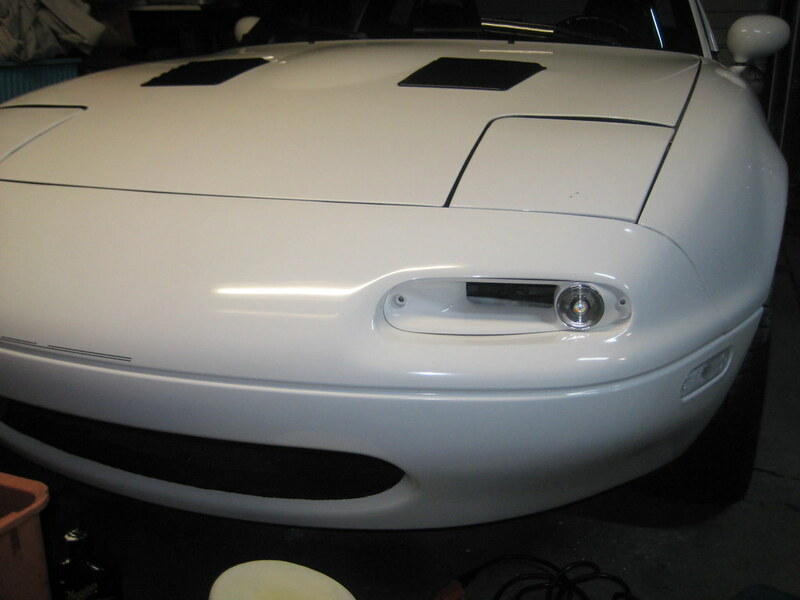 I think I found something better and it is not a JDM/Euro winker style either. I will float that design to everyone in about 2 weeks. It will be shipped from across the pond.